This year, drink your chocolate with your sweetie. 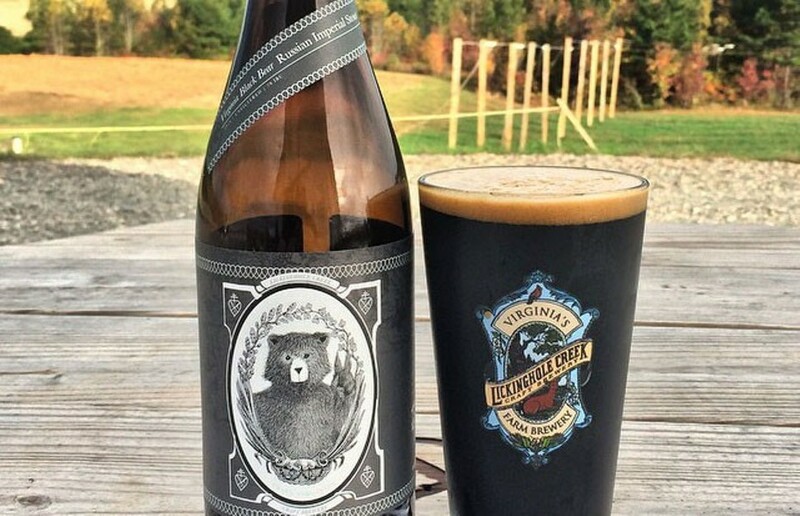 Scott Elmquist Lickinghole Creek Craft Brewery's Vanilla Virginia Black Bear, is a vanilla Russian imperial stout flavored with dark chocolate, coffee and vanilla, making it perfect for Valentine's Day sipping. Some of us are thinking about Valentine’s Day, mainly (primarily) because of the promise of chocolate. And I’m thinking about something wrote about last week — beer made with chocolate, or really, beer with chocolate added for a little flavor during the brewing process. The Virginia Tourism Corporation put together a nice list of the varieties available in the state. The list includes beer that contains flavor notes that might be characterized as chocolaty — in other words, beer that doesn’t contain any chocolate at all. I’m willing to overlook it.